We, the undersigned, demand you resign and be arrested for poisoning the people of Flint. You knew the water in the Flint River was toxic, but you used it to replace the clean water from Lake Huron anyway. It was more important to "cut costs" and "balance the budget" than to protect public health. We demand justice for the children who have been poisoned with lead and whose futures have been changed irrevocably by your actions. It is time for you to resign and be arrested and prosecuted for these crimes. 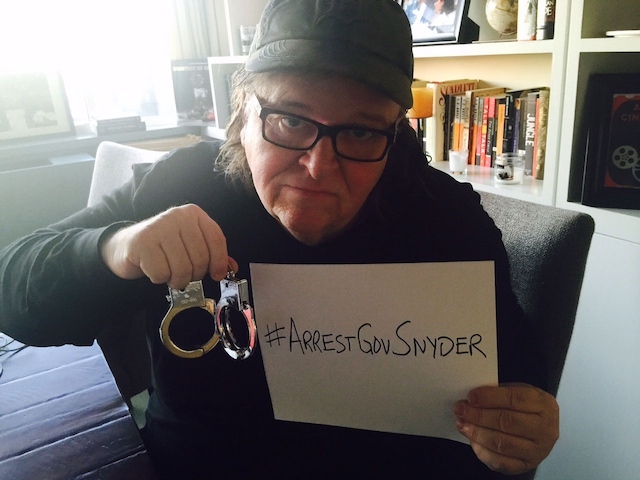 By signing this petition, I agree to receive email from Michael Moore.